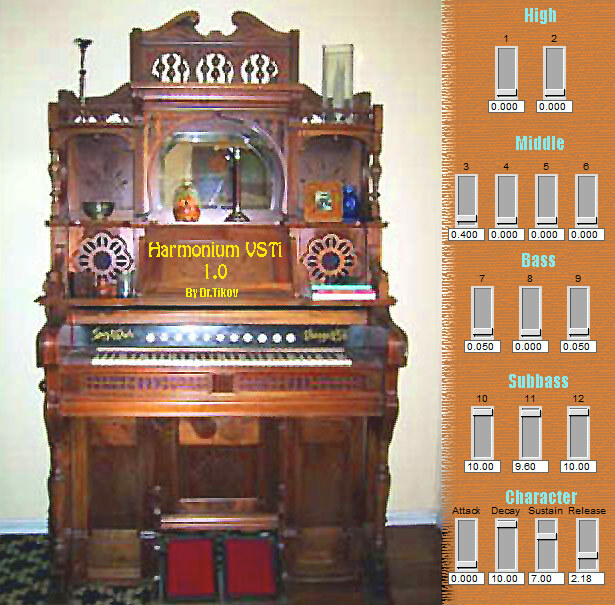 This synth is based on samples of real 19th century Harmonium that i`ve sampled one day in center of Moscow. It has very warm and realistic sound. Thanks Harmonium owner Vitaly Kataev. Attention! This synth is 3 semitones lower than it must be. Sorry, but i can`t repair it. So use +3 semitones in your sequencer.